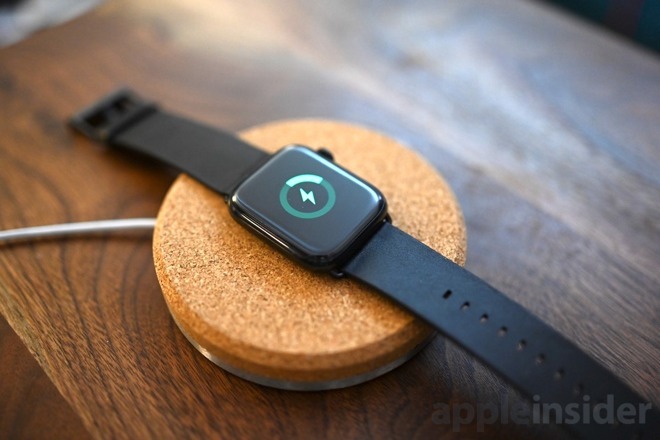 Many of the same design elements that graced the Grovemade wireless charging pad have made their way to the Apple Watch version. It is made of cork and steel and is precisely made. Let's further get into the details. Grovemade is known best for two things -- impeccable build quality and utilization of natural, high-quality materials. We see both of those traits throughout the Apple Watch charging dock. The first thing you notice is how hefty the device itself is. There is a lot of weight behind it, due mostly to the stainless steel frame that runs around the edge. On top and and below of that frame is cork. The bottom has a ring of cork that acts as a deterrent against sliding, as well as protects your surfaces from the metal. 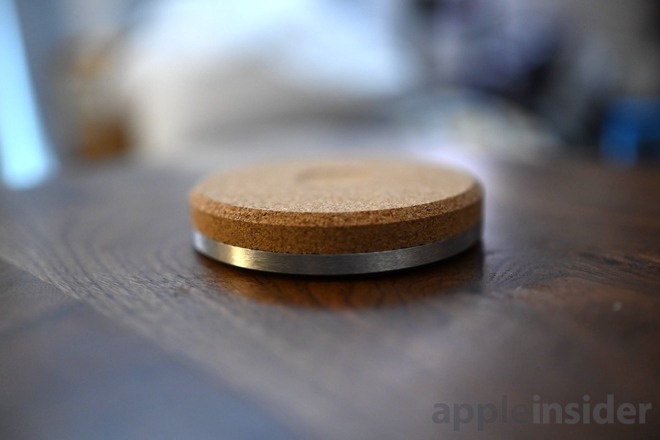 Cork then covers the top and half the sides which provides a softer material for your Apple Watch to rest on. In the center is a subtle divot that perfectly matches the curvature of the bottom of your Apple Watch. That, combined with the magnetic properties of the charger, helps align and keep your watch in place. 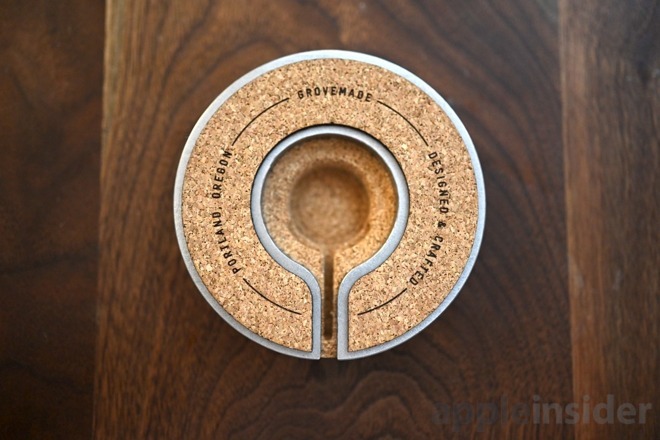 Grovemade has chosen not to include a charging puck, leaving you to supply your own. It fits right into the underside beneath the cork. 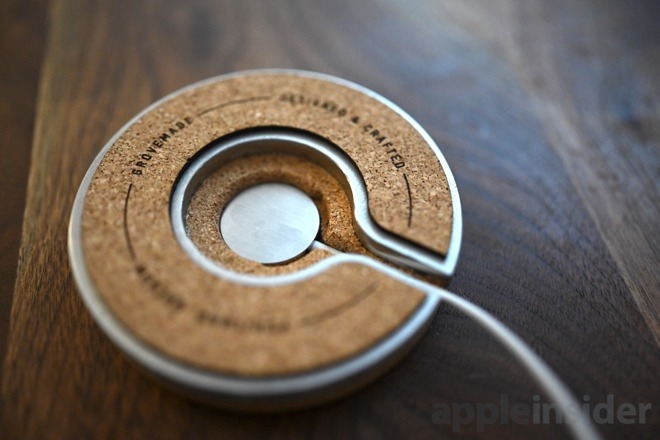 The cork in the center is exceptionally thin and makes it one of the few Apple Watch charging docks that actually completely hides the bright white of the official charging puck. Be warned, the cork in the center is quite fragile -- so don't try to put your finger through it. This dock, which is a perfect compliment to the Qi charging pad they produce, is meant to stay in one place. When we head out, we prefer to use a backup charging puck or a dedicated portable Apple Watch charger rather than try to take this one with us. It is also effortless to remove the charging puck, so that is probably the easiest option without dropping extra cash. Because of the flat nature of this pad, you're not going to be able to use this with bands that are always together such as a metal link band. There is just no way for the band to contort to allow the watch to lay flat. So, this may be a dealbreaker for some. Apple allows Nightstand Mode to work in both horizontal and vertical orientations, so being perched flat won't make a difference and the time and charging status are easily glanceable. If you hadn't guessed, this isn't going to be a cheap accessory to add to your collection -- Grovemade's products rarely are. They are popular because of the time and effort that goes into them and those who do spring for them rarely are disappointed. We've tried more watch docks than we can count and none have felt as nice as Grovemade's. Grovemade only sells its products through its own website, which is where you pick up the Apple Watch charging dock for $50 or $60 depending on whether you opt for the natural or black version. It's nice enough looking compared to a lot of Watch stands, but I don't quite get a 'premium' vibe from it, on its own. It may be a little expensive for what looks like a coaster, but not shockingly so. They do make some interesting kit. The matching iPhone charger is nice looking too. 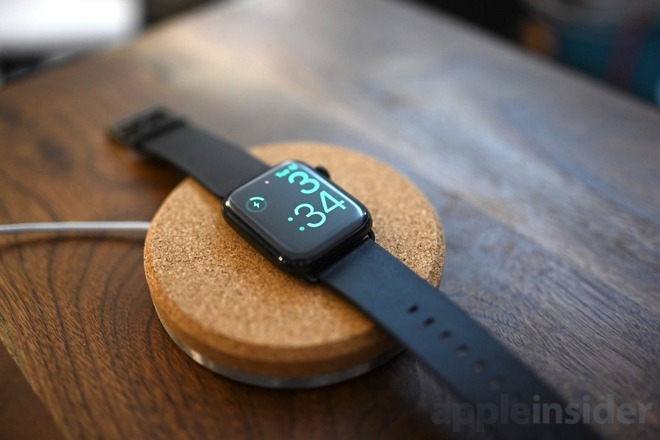 Many of these Apple Watch charging bases end up looking like a hockey puck. I wonder if anyone with a small CNC or milling machine has ever turned an actual hockey puck into an Apple Watch charging base? Actual pucks are rather hard and even with a lot of material removed for the charging head the potential for pushing through the thinned our region would be very low. Pick your favorite team. i kind of like how it looks, but at $60 it is rip for some enterprising Chinese company to rip off and make it and sell it for $10. 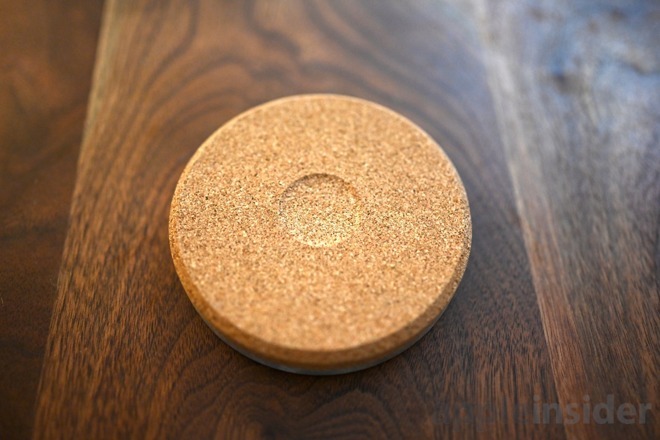 I like design-oriented and well-crafted stuff, too, but that's a steep price to pay for a piece of cork with some metal trim that's BYOP (Bring Your Own Puck). I'd be much more amenable if it was turnkey, but Apple's really stifled the third-party Watch charger market by making the pucks so expensive to incorporate into products. All the third-party options that include an MFi puck are at least $50, and many cost more. Black plastic discs are the other extreme; functional but that's it. I'll stick with my glass/metal charger that cost all of $14. It shows the circuit board like the exhibition back on a watch, so it has some geek appeal as well.